I'm a little behind on the newest What We Love but here it is. 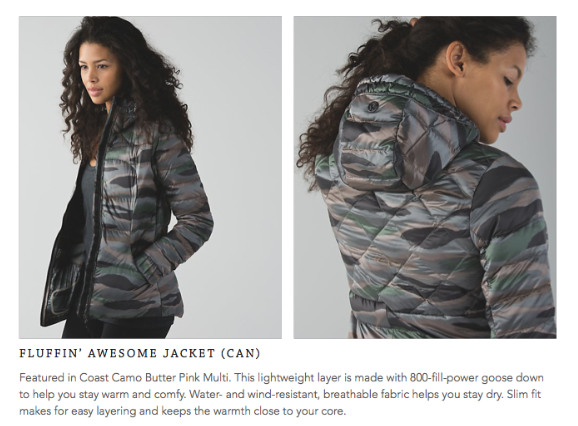 Canada is slated to get the Fluffiest Vest and Fluffin Awesome Jacket first but the US will get it a little later. I have prices and photos of them here. 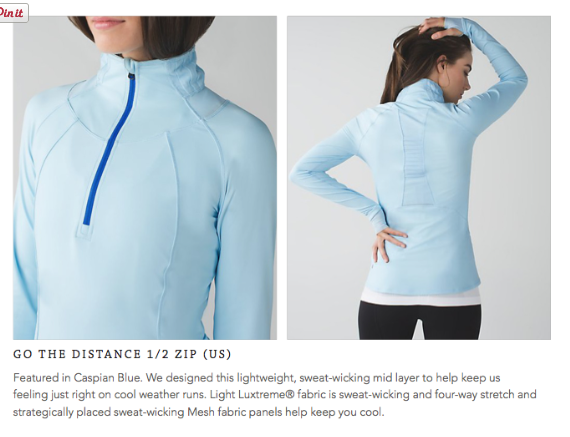 The US is getting the Go the Distance Half Zip. These are already in Canadian stores. 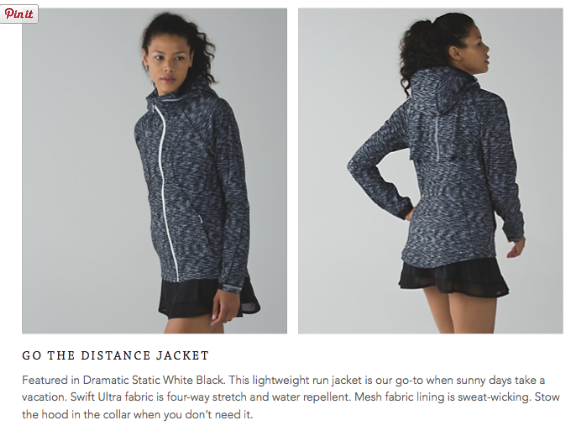 I saw this jacket in Vancouver this weekend. I'm going to have to try these out. 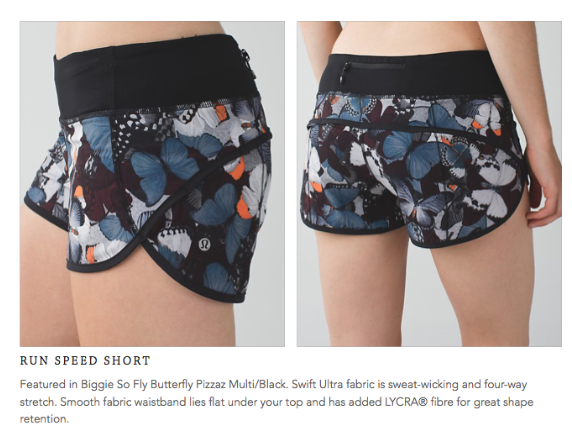 I got the Blue Butterfly print Go the Distance short and the pair I got doesn't have a lot of white and pizazz in it so they're going back. I have some photos of the white butterfly print Trackers and I like that version for shorts better. Those will go up in another post. 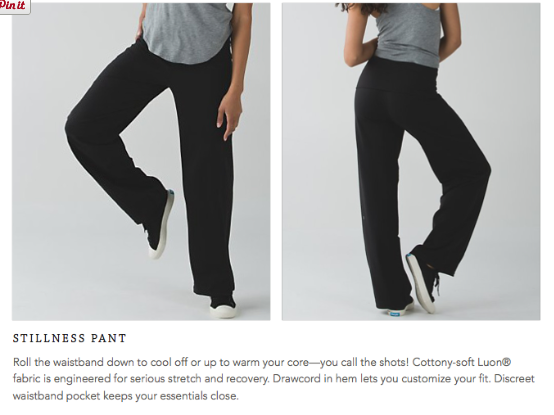 Totally agree on the stillness pant! I'm going to have to get them if they show up in the US. They look perfect for to/from, house, and town. 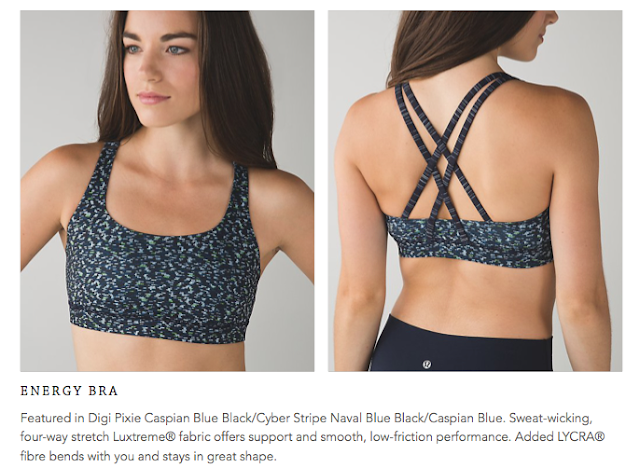 I was also hoping for a snake skin sports bra; maybe a FTB. I usually don't go in for prints, but I'm kind of a sucker for snake skin (esp. in small doses).. Or, maybe a bag! 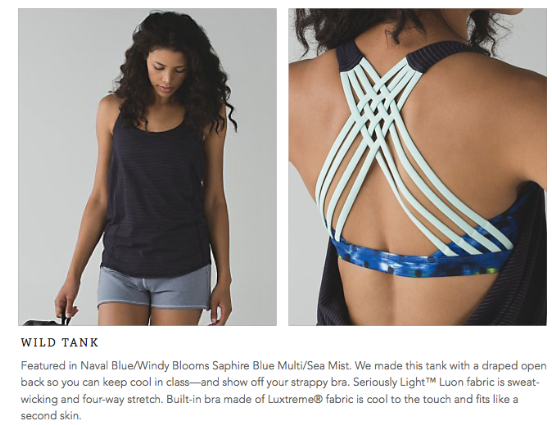 I know its on trend, but not a huge fan of shiny down pieces, even though the colors/prints are pretty. 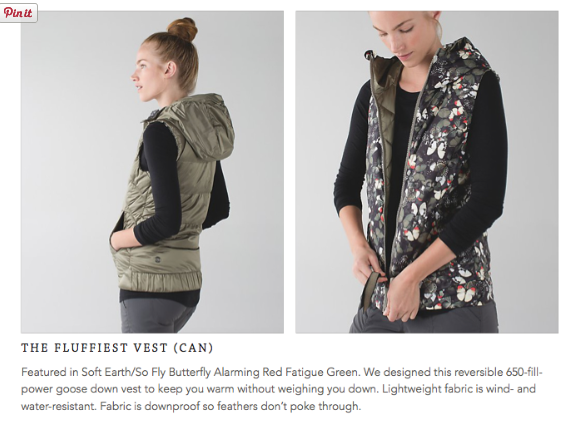 A relief, as I usually have little willpower to resist the fluffing fall vests.